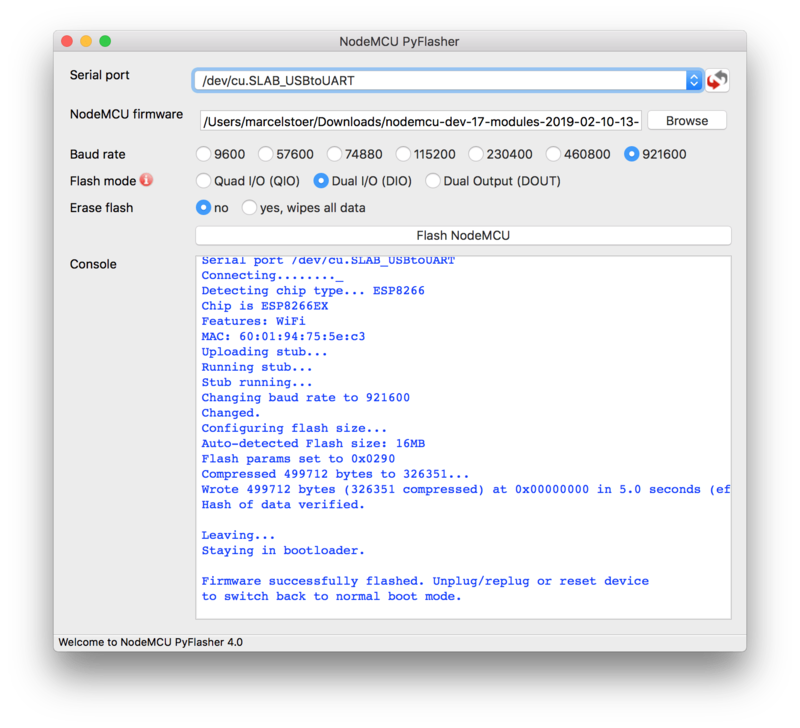 Below you'll find all necessary information to flash a NodeMCU firmware binary to ESP8266 or ESP8285. Note that this is a reference documentation and not a tutorial with fancy screen shots. Turn to your favorite search engine for those. Make sure you follow a recent tutorial rather than one that is several months old! mode is qio for 512 kByte modules and dio for >=4 MByte modules (qio might work as well, YMMV). If you need to customize init data then first download the Espressif SDK patch 1.5.4.1 and extract esp_init_data_default.bin. Then flash that file just like you'd flash the firmware. The correct address for the init data depends on the capacity of the flash chip.